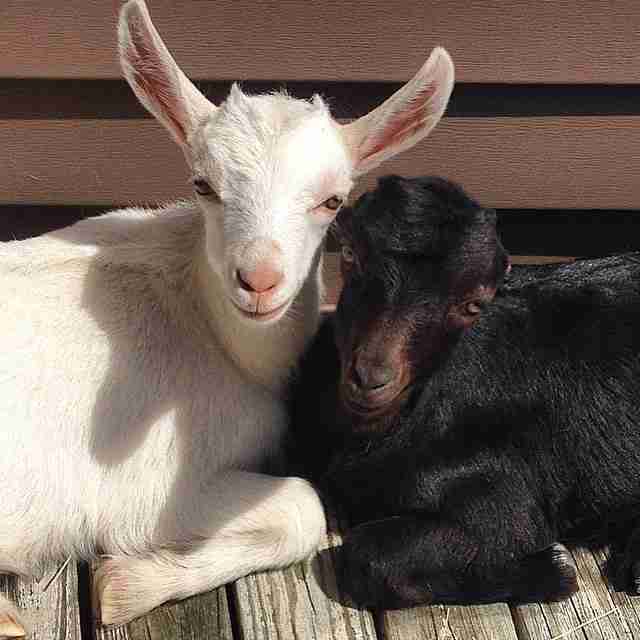 Rescued from horrific cruelty one month ago, an adorable pair of baby goats is now making new friends - including over 8,000 Instagram fans. 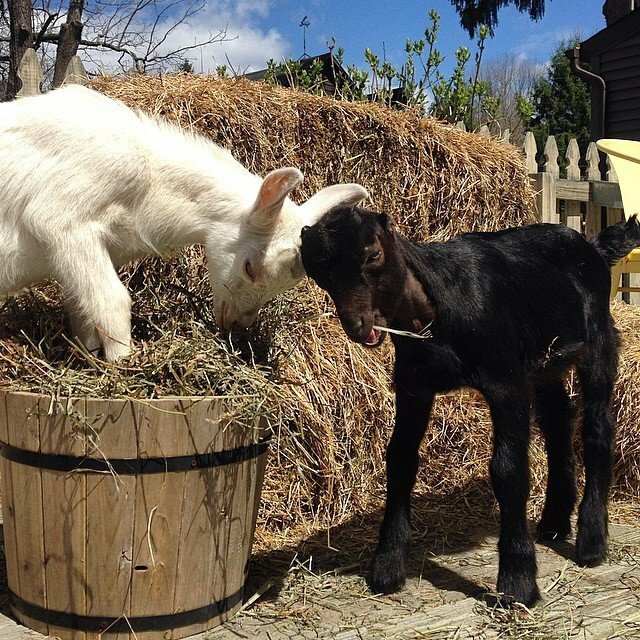 Ansel and Petal were found in April at a nightmare farm in New Jersey. Covered in a "carpet of crunching bones," the farm hosted nearly 200 neglected animals and many more rotting carcasses. 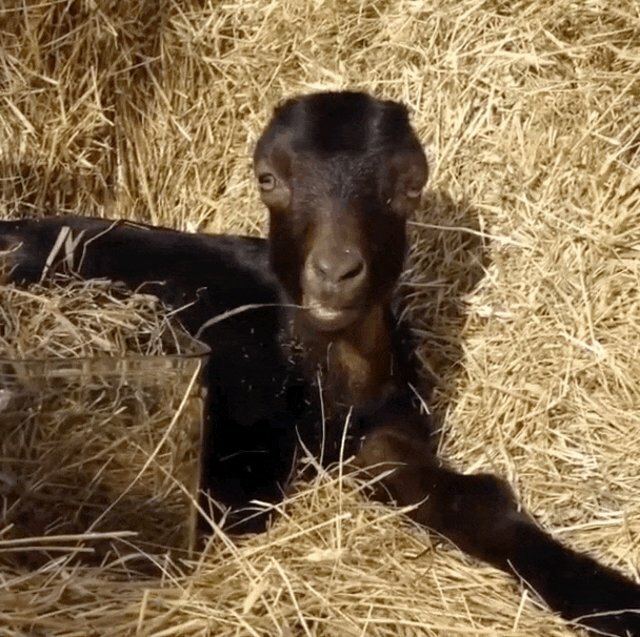 "They were being starved to death," Leanne Lauricella, the Barnyard Sanctuary volunteer who took in the pair of goats, told The Dodo. 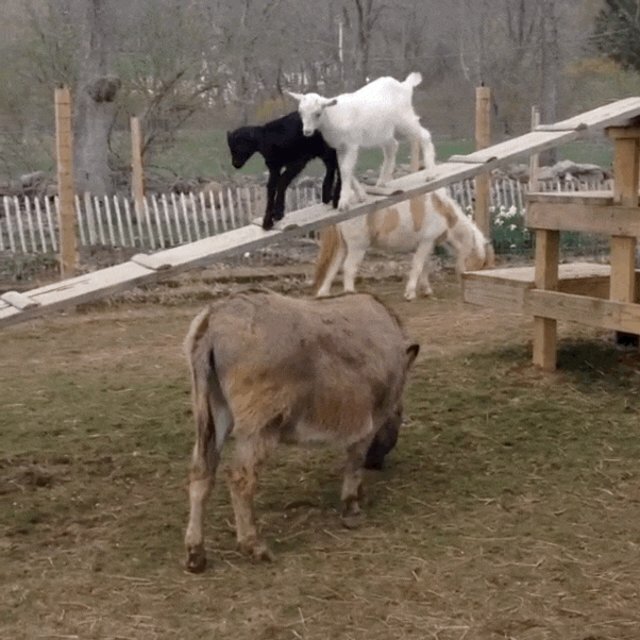 There were four newborn goats on the property. One was already dead. Another perished a day after the rescue. "We didn't think he was going to make it," Lauricella said of Ansel. "He was just really sick and weak." But fiery little Petal looked after him, bounding to Ansel's side whenever he bleated. The pair is now inseparable. And Lauricella, who continues to bottle-feed the kids, has decided to adopt them. You can follow Ansel and Petal's fairytale adventure via Instagram. 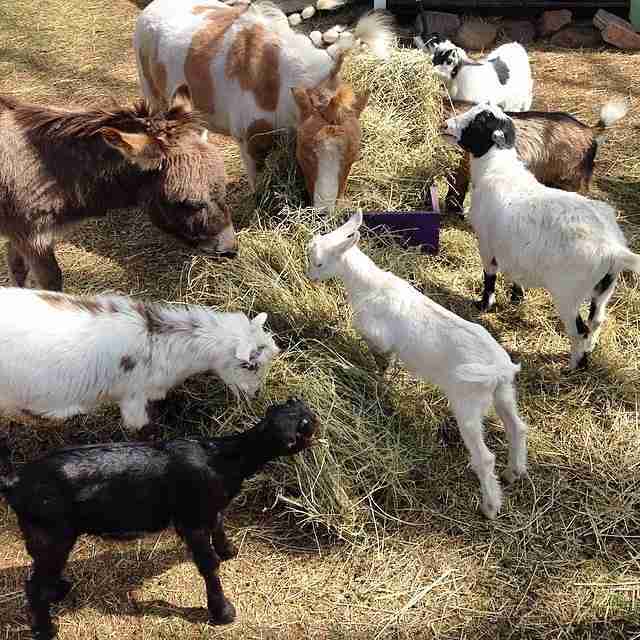 To help the Barnyard Sanctuary's rescue efforts, click here.